Secondary Schools across the Virgin Islands will for the first time have a standardised ‘standards-based’ curriculum beginning this 2014-2015 academic school year. 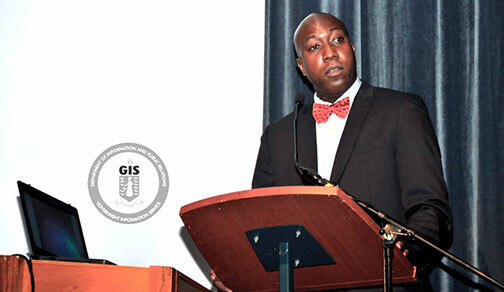 The announcement was made by Minister of Education and Culture, Honourable Myron V. Walwyn as he addressed educators at the 2014 Professional Day for Educators earlier today. The Education Minister disclosed that this was one of the initiatives being implemented as the Ministry strives to create parity across all schools. In his remarks he said, “We need to provide one type of student leaving our secondary school system. As it presently stands, different schools are following different standards and we must bring uniformity to our system.” The Minister added that a learner centered approach needs to be seen where lessons respond to individual learning needs, taking preeminence over the traditional teacher focused instruction. The Education Minister also noted that there will be ongoing reviews as each teacher executes the document in the schools during this academic year and that the use of the curriculum document is not optional, it is mandatory. He outlined that the Ministry of Education is asking all teachers to follow it and that principals ensure that the curriculum document is used in every grade level and in every subject area that has been completed. The curriculum lead team was coordinated by Mrs. Connie George, Education Officer with the Department of Education. Dr. Jasmattie Yamraj of the H. Lavity Stoutt Community College headed the team who worked in collaboration with selected educators in various subjects to review existing documents and to formulate outlines using the standards based curriculum guide. As part of the Summer Institute Session, secondary teachers from across the Territory also came together yesterday to review the document and devise a plan of action for its execution. To complement the curriculum, the Education Minister announced that standardised lesson plans based on the curriculum for individual subjects will be created. He said, “Many of you have spoken to me about the need for more time to prepare your lessons. I believe your time is best-spent engaging students and facilitating dialogue in the classroom, rather than spending more time preparing lessons plans. That is why I have asked the Department of Education to put a team of educators together covering all subjects to create template lesson plans based on the curriculum for individual subjects.” He added that he has, asked for these templates to be available for the next school year, starting with the secondary schools and urged all teachers to willingly offer their expertise when asked to assist with this initiative. Other initiatives announced for this school year include the Newly Qualified Teacher Support Programme, the addition of an extra year to provide more instructional time which will also align the Virgin Islands with the internationally accepted 13 years of schooling and the added incentive to expose advanced students to the Caribbean Advanced Proficiency Examination (CAPE) examinations at the secondary level. The removal of the primary five examinations and the implementing of the key stage testing will also begin for this academic school year as well as the change in the nomenclature of the education levels from stages, classes and forms to grades. Professional Day was held at the Eileene L. Parsons Auditorium, H. Lavity Stoutt Community College under the theme “The 21st Century Teacher: Creating the 21st Century Student.